Oxfordshire Greentech will be based in the Eco Business Centre located in Elmsbrook, the first phase of the Northwest Bicester eco-town. 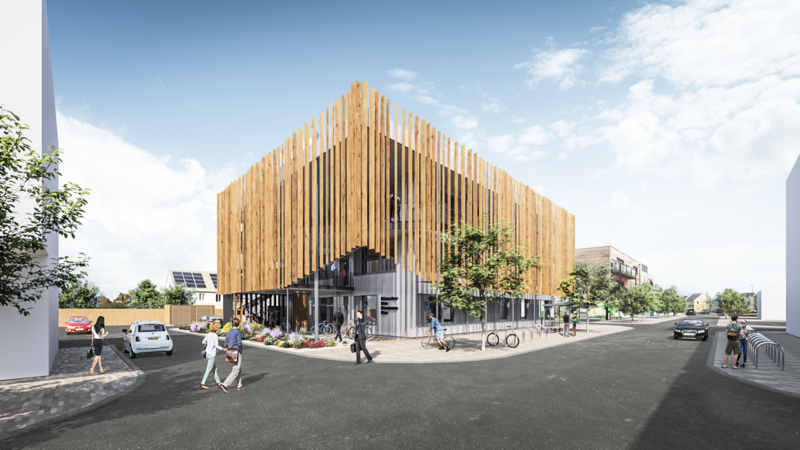 The centre has been built to excellent environmental standards, boasting zero carbon energy usage enabled by photovoltaic panels, BREEAM excellent standards, and Passivhaus Plus certification, amongst other features. It is the ideal base for Oxfordshire Greentech’s low carbon economy objectives. Please click here to access the website for the centre. The Eco Business Centre has been built as part of the NW Bicester eco-town development, and the first phase, Elmsbrook, comprises 400 homes. This development provides an impressive backdrop to the centre, requiring zero carbon energy in both the homes and the primary school, as well as producing zero waste to landfill during construction. It is the first and only eco-town to be made to the central government’s Planning Policy Statement requirements. The centre looks to support job creation, home working, small and medium sized business development and the growth of the low carbon economy. 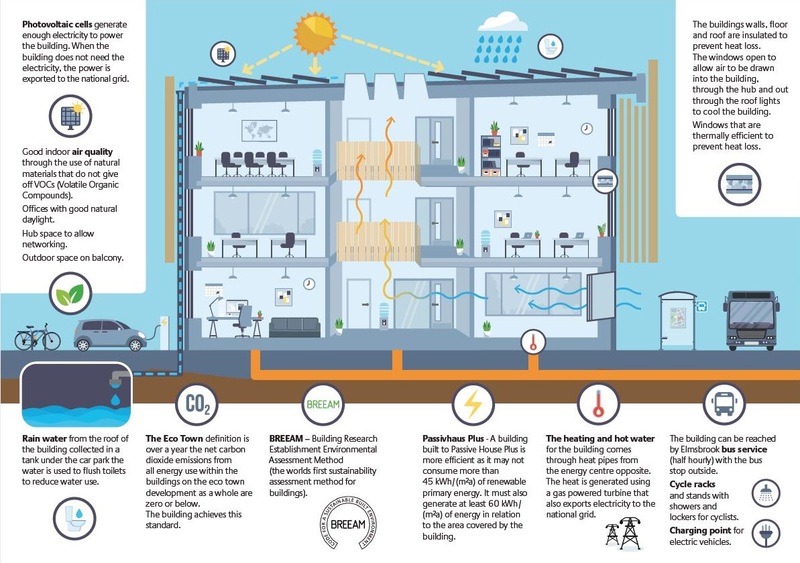 The true zero carbon building is the first non-domestic building in the UK to achieve Passivhaus Plus, a rigorous standard for energy efficiency, developed by the Passivhaus Institute in Germany. The innovative building comprises a mix of co-working space and serviced offices over three floors, and has been sensitively designed to be distinctive, eco-friendly and sustainable. In keeping with Oxfordshire Greentech’s aims to help facilitate the development and growth of a thriving low carbon economy in Oxfordshire, we are pleased to make our home in the Eco Business Centre.